Gary is a founding member of our Firm and has practiced intellectual property law for over 20 years. His practice focuses on complex patent prosecution, portfolio management, product clearance, patent related opinions, and intellectual property litigation. Gary develops an in depth understanding of his clients’ business and technology to identify and manage their intellectual property assets. He provides counsel on matters relating to patent procurement, infringement and validity analysis, M&A due diligence, claim constructions, internal patent programs, licensing, and conflict avoidance, enabling clients to make strategic business decisions. Gary’s patent practice is complemented by his considerable intellectual property litigation experience. He has been a start to finish advocate in over twenty-five patent, trademark, copyright, and trade secret litigation matters. His more high profile cases have been highlighted in such publications as The Wall Street Journal and the Chicago Tribune. Gary represents emerging growth, mid-market and Fortune 500® companies in a wide range of software, electrical, mechanical, and electro-mechanical technologies. He also represents universities and research organizations regarding their leading innovations, including obtaining patent protection for a Nobel Prize winning inventor on behalf of a premier Midwestern university. 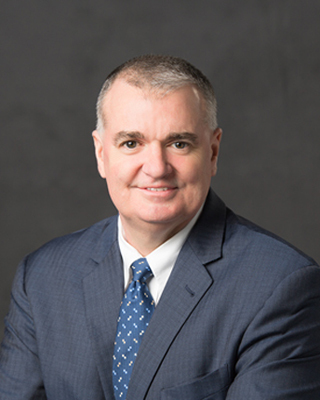 In addition to his litigation experience in Federal Court, Gary has experience representing and counseling clients in post grant matters such as inter partes review (IPR) proceedings before the Patent trial and Appeal Board (PTAB). Prior to joining McCracken & Gillen, Gary was a partner at both a national IP law firm and a national full-service law firm. Gary received his engineering degree from Marquette University with a biomedical engineering focus within the electrical engineering and computer science department, and was a recipient of a four year full Evans Scholarship from the Western Golf Association.